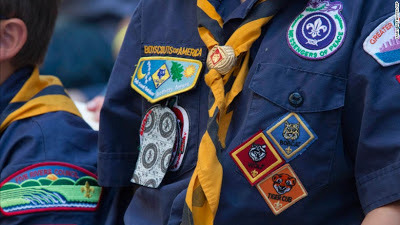 The Boy Scouts of America announced on Monday that it will now allow transgender children who identify as boys to enroll in its boys only programs. The organization said it made the decision to base enrollment in boys only programs on the gender a child or parent lists on the application to become a scout. The all boys organization had initially held a policy that relied on the gender listed on a child’s birth certificate but have now had a change of heart. The decision was also motivated by an incident in Secaucus, New Jersey, where a transgender child was asked late last year to leave the Scout troop after parents and leaders found out the child was transgender.